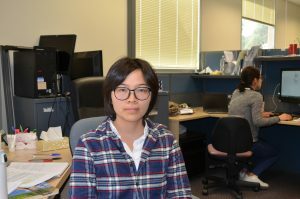 Ying completed her Bachelors and Masters in China, focusing on viticulture and oenology. Following this she worked for a year in a winery before coming to Australia in 2017 to commence her PhD. She looks at the role of GABA in root growth under salt stress, and is fascinated with how plants are intelligent enough to cope to changes in their environment and the consequent stresses.